Chief Alex Ogbonna, who led other members of his executive to the mosque, said he was in the area to re-echo the existing peace and bond among residents of the state irrespective of their religious and ethnic differences. 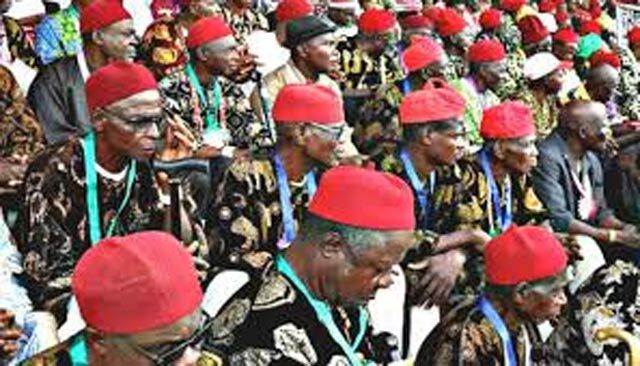 Ohanaeze Ndigbo yesterday commiserated with the Muslim community in Igbo-Eze north local council, Enugu State over the fire incident that engulfed a mosque in the area. A mosque located at Ogrute, the council headquarters, was on last Saturday morning engulfed by a mysterious fire, which razed the entire roof. The president of Ohanaeze in Enugu, Chief Alex Ogbonna, who led other members of his executive to the mosque, said he was in the area to re-echo the existing peace and bond among residents of the state irrespective of their religious and ethnic differences. Ogbonna, who expressed sadness over the inferno, urged the Muslim faithful to accept the development as an act of God, which should not be allowed to affect the existing cordial relationship existing between Christians and Muslims in the state. “We are here to sympathize with you and to tell you that whatever may be the case, we shall continue to be one. You have been here for several years and there has never been any incident. So, our appeal is that you all should continue to live in peace. “We show solidarity with the Imam and the Muslim community in this area becasue we felt touched that this happened to a house of God. We have Christians, traditionalists and Muslims in this state and all of them practice their religion unhindered,” he said.